The web is filled with great Fall inspiration right now, so I'm sharing some more of my Fall finds with you for my Friday Faves this week. This is a pretty stack of faux mercury glass pumpkins. You can find the tutorial at High Style Restyle. Adorable and easy trick or treat bags. 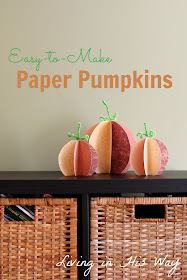 There is a tutorial and template at Leaves and Stitches. 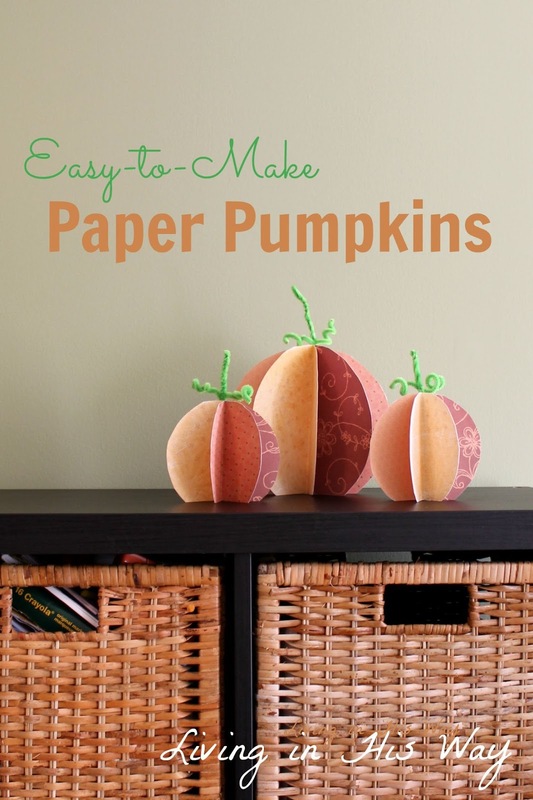 Cute, easy, and quick -- my favorite kind of craft. 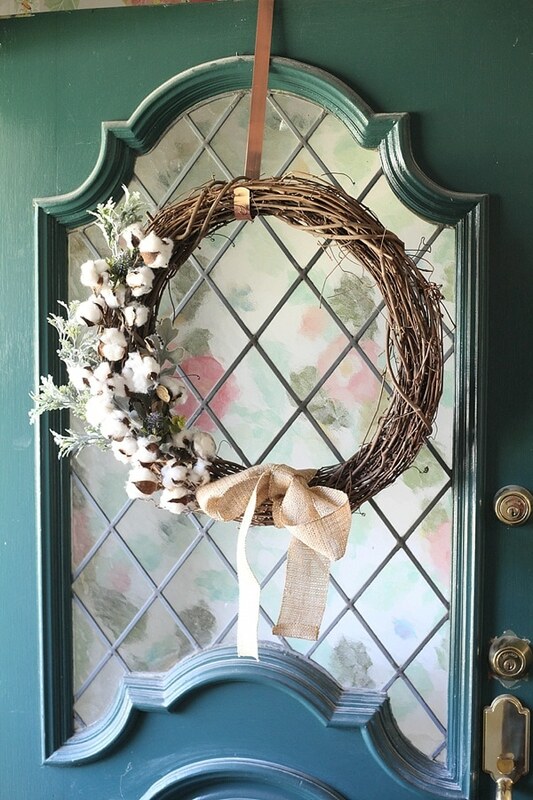 I love this cotton boll wreath, and isn't her door pretty? Mom Home Guide featured Curly Crafty Mom's fun Fall porch. In partnership with Uncommon Goods, I'm giving away this beautiful US Birds and Blooms pillow. For a chance to win, all you have to do is leave a comment on the post. It was so nice to have you visit me. Have a good weekend. IMPORTANT NOTICES: Some of these images are not mine. If you want to pin or share an image from this post, please click on the source name under the image, and share from the source. If I have posted a photo from your site and you want it removed, please email me, and I will immediately remove the photo. If I have shared a photo from your site, please feel free to post the "I've been featured" button found on my sidebar, and thank you for the inspiration. Pretty features!!! I love the cotton boll wreath. I can't wait to get back to AZ so I can go and pick some cotton off the fields near our home and make one. Do you think I may be breaking the law by pulling off the road and just pick cotton from someone's field? Hi Laurie, great features once again. I love the cotton boll wreath on that pretty door. My favorite is your centerpiece on the fall tablescape. Have a great weekend. 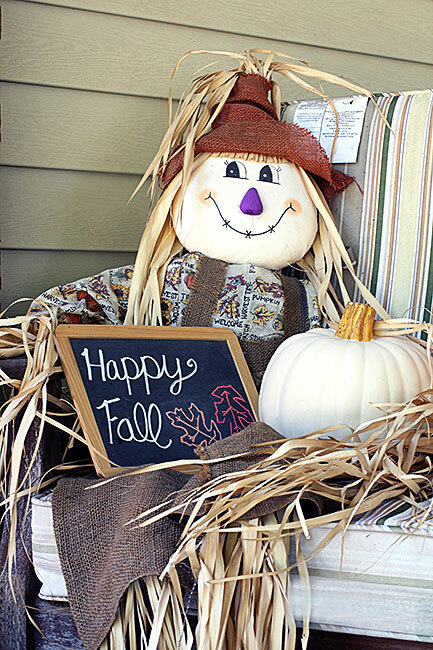 Thanks SO much for featuring my fall porch! I love all of these other fall picks! Have a great weekend! I just love seeing everyone's fall touches! Fall my favorite time of the year.